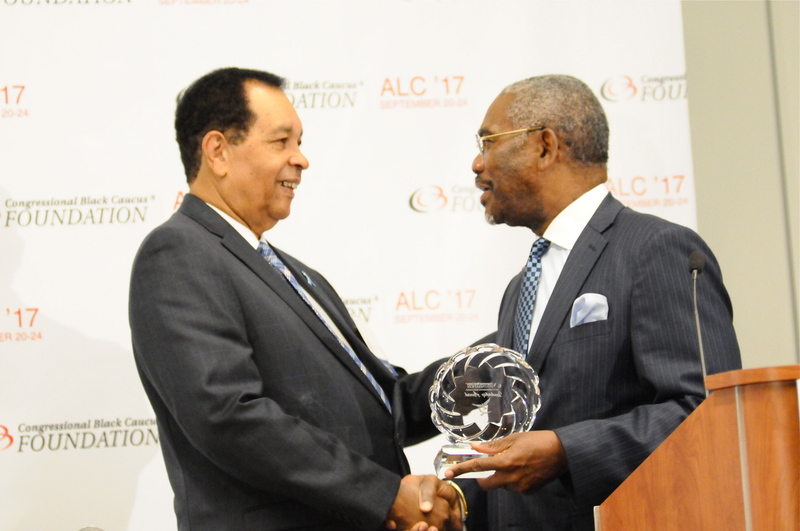 PHEN president, Thomas A. Farrington, was presented with the Congressional Black Caucus (CBC) Leadership Award by Congressman Gregory Meeks (NY) at PHEN's 13th Annual African-American Prostate Cancer Disparity Summit during the CBC's Annual Legislative Conference on September 22, 2017. "Congressman Meeks and the CBC Foundation are tremendous supporters of PHEN's efforts in the fight against prostate cancer. To receive this award is a great honor for me which I accept on behalf of the members of the PHEN Network whose support makes our success possible," says Farrington.